Some 2,000 children are injured annually during the summer vacation in road accidents, according to Or Yarok road safety group. Some 2,000 children are injured annually during the summer vacation in road accidents, either as pedestrians, bike riders, or passengers in vehicles, the Or Yarok road safety group said Monday. With summer vacation officially beginning Tuesday for elementary school children, officials of the organization urged parents to keep a close eye on their children and make sure they know the rules of the road. In summer 2013, the group said, accidents involving children were 10% higher than in the previous summer. Of the 2,000 injured last summer, 22 died, according to the Central Bureau of Statistics. Earlier this month, the organization issued statistics that showed that one out of every three people killed in road accidents in Israel are pedestrians. Israeli pedestrians, the Or Yarok study said, are the second most vulnerable in the world to being killed in road accidents. So far this year, 40 pedestrians have been killed in road accidents, the study showed – a 25% increase over the number killed in the first five months of 2013. During that year, 94 of the 591 people killed in road accidents were pedestrians. 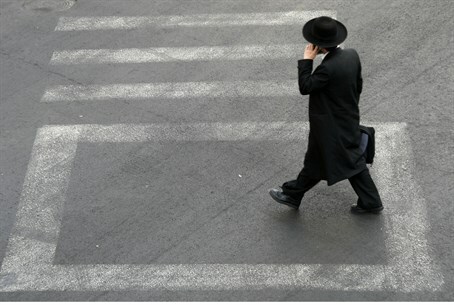 According to Shmuel Abuav, head of Or Yarok, “these worrying statistics, which extend over many years, require the Transportation Ministry to act immediately to improve safety conditions for pedestrians. Speed bumps need to be installed on dangerous streets, and especially around schools, playgrounds, and senior citizen centers,” he added.